Commentary: Another Jyn Erso! This one comes in the Imperial Ground Crew [FOTD #2,283] disguise, and as far as I can tell they share the same body. 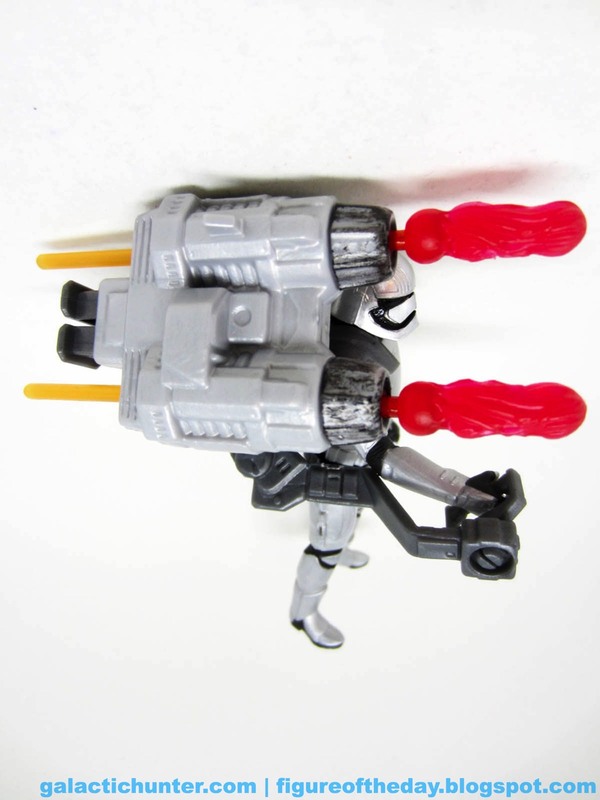 The neck pegs seem to be the same size, and the hands and shoes are also seemingly identical. 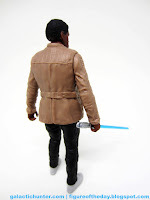 Jyn's boots are brown, the Guard's are black. Jyn has fingerless brown gloves with painted flesh fingers, while the Ground Crew has black gloves. Other deco differences are minimal, but you'll notice two on the body. 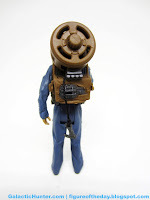 Jyn's neck is flesh colored as opposed to black, and the backpack on Jyn has two very small red lights painted on the back that my Ground Crew figure lacks. It's a nifty reuse of parts and pieces. 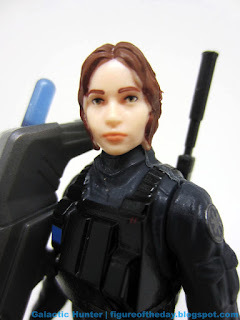 The disguised Jyn Erso is a fantastic figure - it's just as good as the Ground Crew but has the added bonus of a rocket-firing gun that's too heavy for her plus a wonderful head sculpt with a really nice paint job. (Warning/guarantee: few action figure heads this small hold up to scrutiny under bright lights and a macro lens.) The batons are pretty much the same, and the helmet lacks the open eye area we got to see in the movie. I'd love to have seen that open window, but oh well. 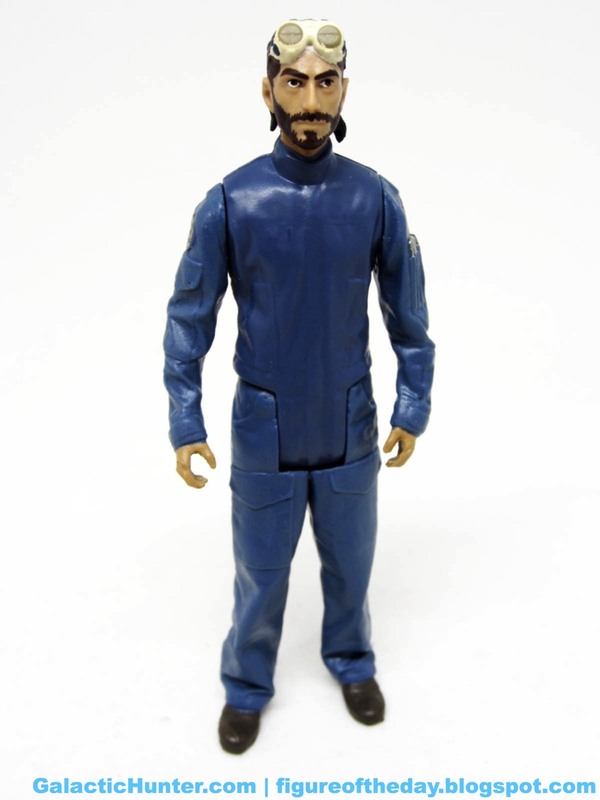 At least you can use this figure as an army builder or infiltrator on the playset some customizer will undoubtedly make for you at some point. This is a great example of foresight on Hasbro's part, squeezing two figures from a single mold with just a bit of planning. I think. If they're different molds, they fooled me so far. 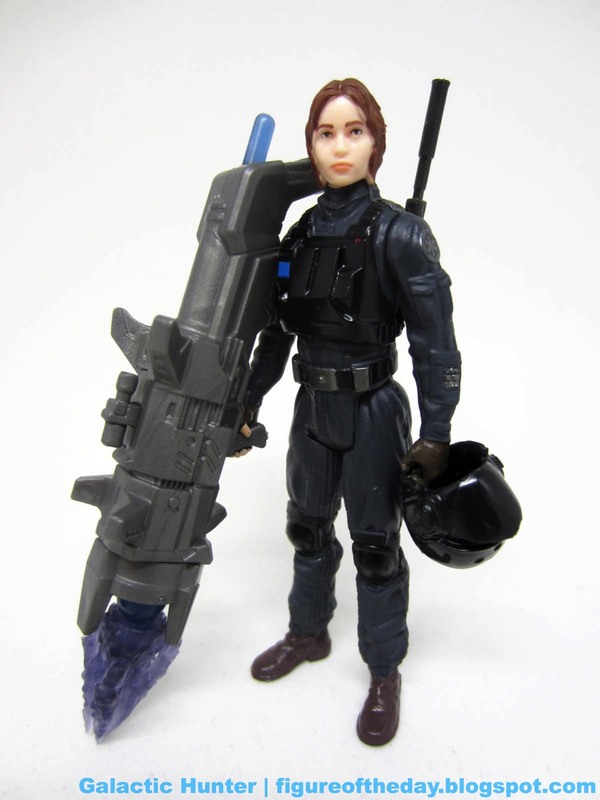 I'd love to see them do the same with an Imperial Officer Cassian Andor some day, but for now I'm going to be very happy Hasbro made Jyn in the disguise. 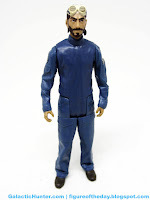 It seems movie windows are getting shorter and shorter in nearly every brand and license in the Hasbro catalog, so seeing three or four waves of figures and rarely do we get this much variety in costumes of a movie's hero in this short of time. Seriously - we got four different enough to be interesting costume changes for Jyn! That's pretty wild. So far I've only seen her show up online, but if you see her in stores go grab it. It's cool. Heck, order it online if you dare, it's cool. 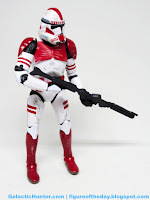 Commentary: I'm not sure where the name change came in - to anyone alive in 2005, this Coruscant Guard (Phase II) was a Shock Trooper. Perhaps the not-so-vaguely fascist imagery and verbiage deployed deftly by George Lucas is something Disney would like to play down? I have no idea. I'm just a caveman. Your world frightens me with your flying machines. ...but I digress. 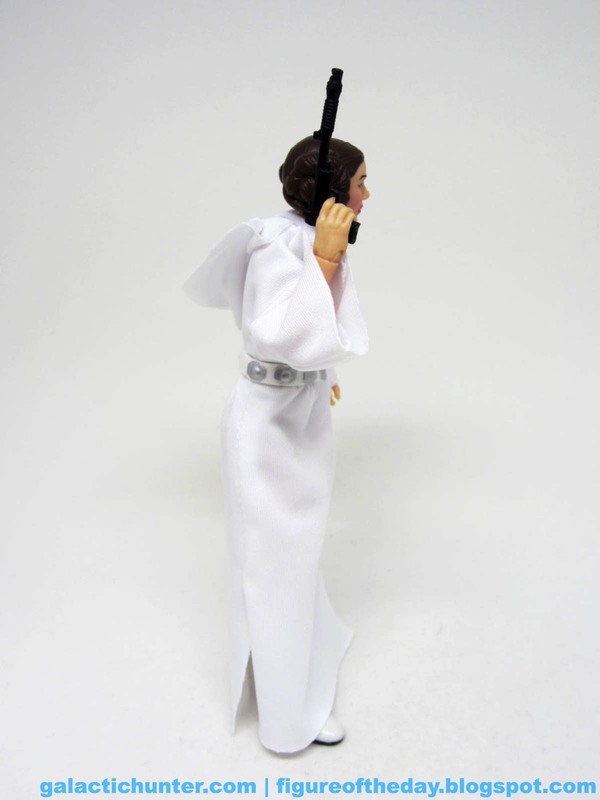 What I do know is that this is a pretty good figure - I'm (pardon the pun) shocked by how great it is. 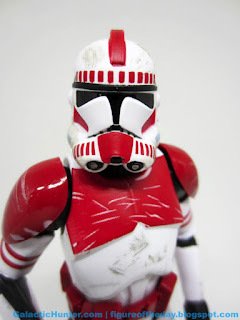 Hasbro didn't cut corners, molding the shoulders in a wonderful shiny red plastic and by both painting on and masking out battle damage. 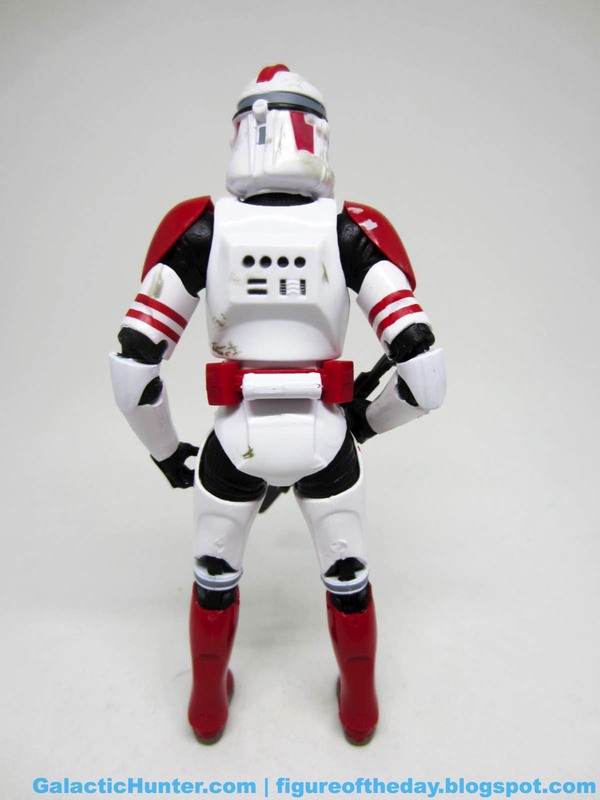 The white figure has a molded red belt, shoulders, and lower legs. 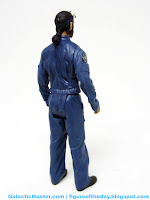 The same mold was used for 4 other figures so far, but with squad-specific detailing. Here you get red rectangles and stripes galore, plus oh so much damage and painted soles on his boots. What I'm the fondest of, though, is the battle-damage. 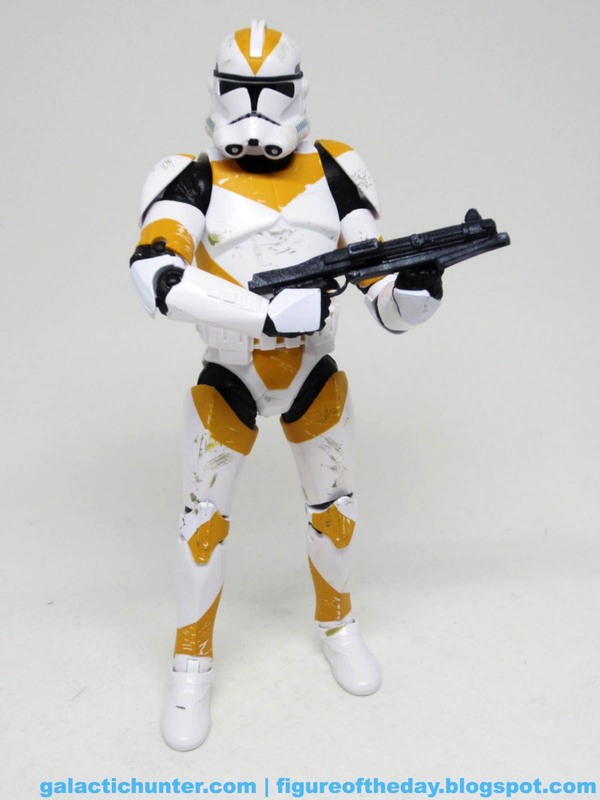 Hasbro cut little holes in the paint masks so that the bare white plastic would shine through on the white molded parts of the figure - so the paint is scraped away rather than faked. Fake scrapes are painted on the red shoulder pads, because how else would you do it? 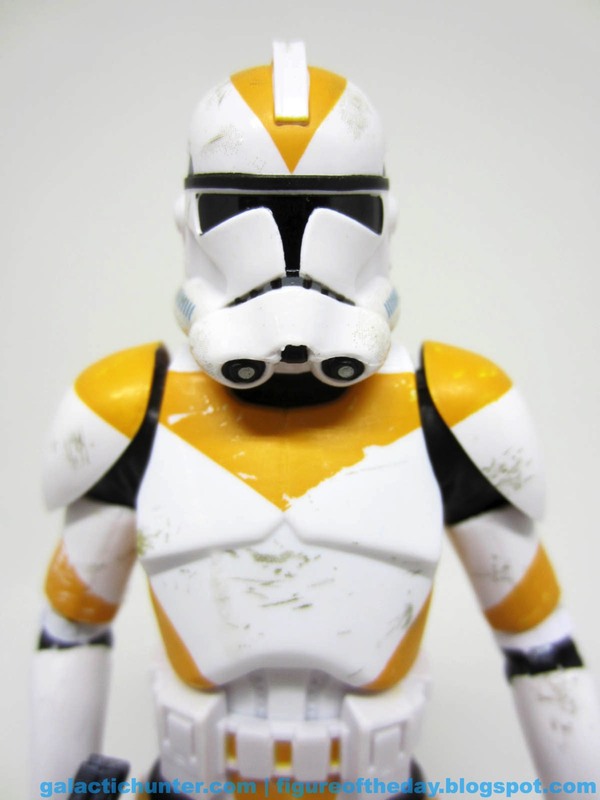 The helmet is given a few scrapes, and the torso has some smudges and scuffs that are easily some of Hasbro's finest work. Even the hands have some dirt - Hasbro went all-out painting this one. It's superb. 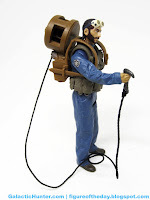 Since you've seen this mold before, you know it has double-jointed elbows and knees. 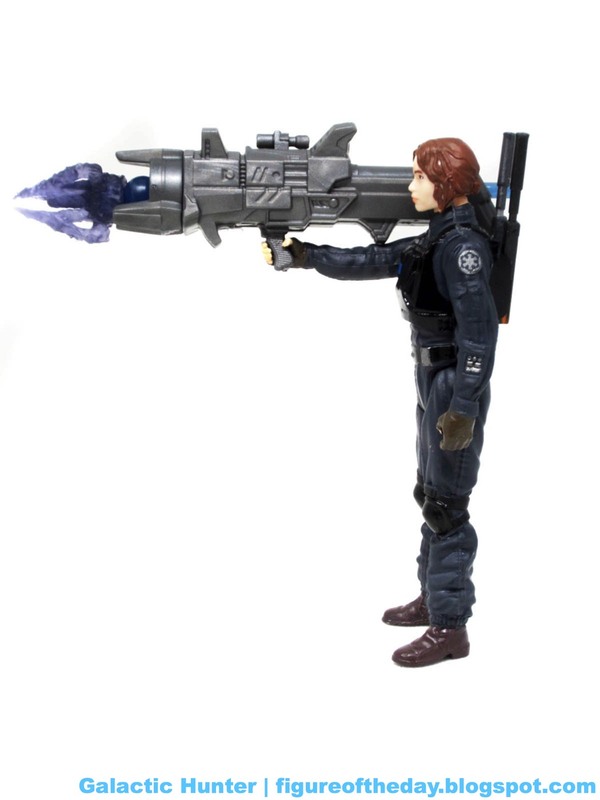 You know it has about 29 points of articulation and has no real problems holding a blaster. I wish there was a solid Darth Sidious to go with it, but maybe we'll get that later. Someday. When Disney and Hasbro are willing to admit there was more in the prequels than Clones and Qui-Gon and Darth Maul and Jango Fett. Due to the nature of what this product is, a redeco made good sense and Hasbro did a phenomenal job delivering something with higher than high quality standards. Did people buy into it? 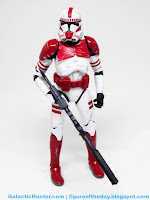 Well, sadly it didn't sell out - a shame, as these are easily the best-painted Clones I've seen. I'll treasure them always. If you got them, I hope you will too. Commentary: The last of the major main heroes for Rogue One was wave three's Bodhi Rook. The defector, the ship pilot, and one of very few times we see someone identified as an Imperial Pilot walking around without some sort of helmet. 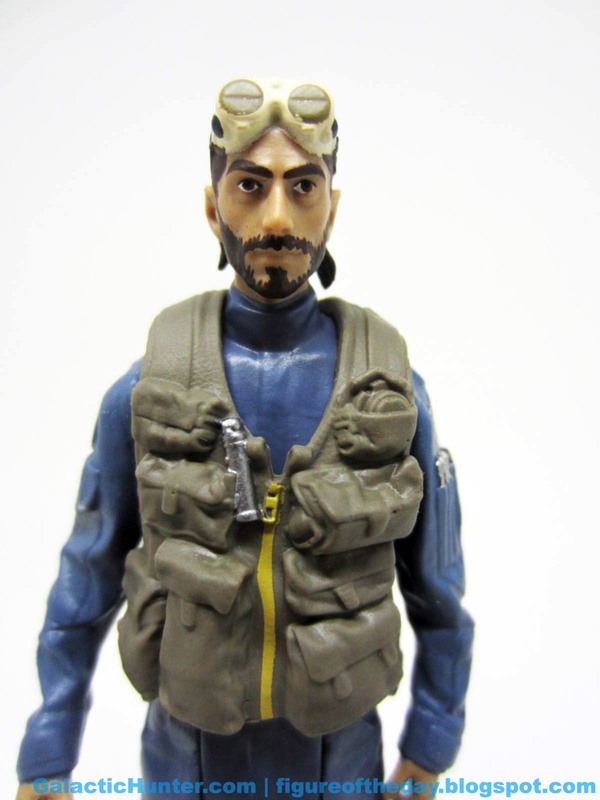 The face sculpt is good, but the beards are seemingly the big challenge these days. 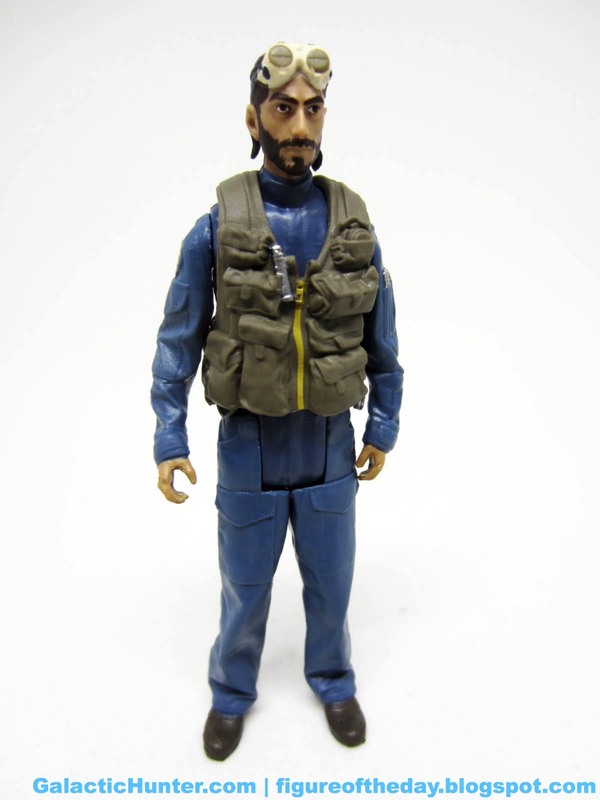 General Madine's was super fake, so stubble and scruff presents a challenge to toymakers now. I like it. The goggles are stuck to his head, but the vest is removable - this is handy if you want to mix things up a bit. There's an Imperial cog on his shoulder, plus painted silver code cylinders. This is a plus. The vest has a painted zipper, and a few other minor details. His sculpting is excellent - the baggy flight suit should be familiar to all original trilogy fans, even if its in a different color these days. The only thing that comes up short are his arms, as they seem cut down a bit. Thankfully, the hand can still grip his blaster - which also should look familiar as it's similar to what the Rebel troopers had in the original movie. Bodhi has no problems standing or sitting, but getting his backpack on can be a trip. 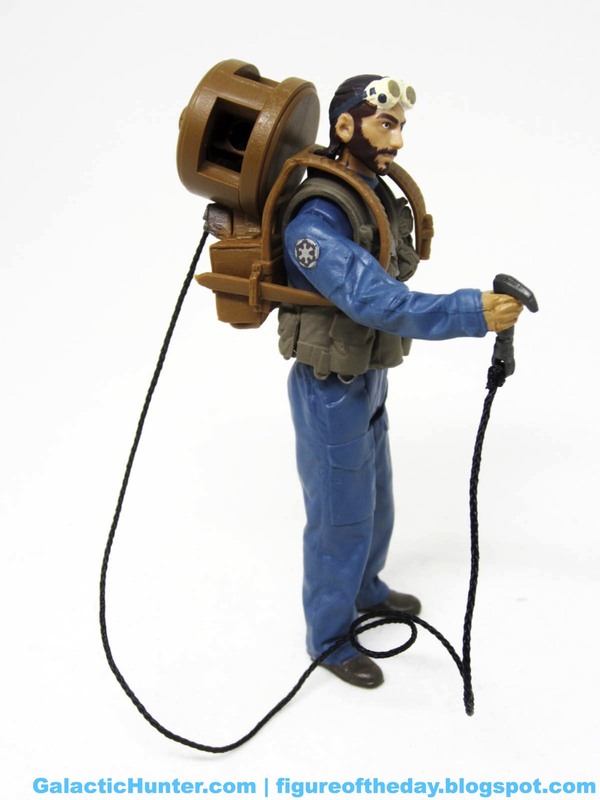 It's based on the one he had during a climactic scene in the movie, complete with a cord and a dongle you can plug in to a thing that will never get made as a toy, because life is unfair. It's actually in the movie, unlike the ziplines, so that should make this figure just a bit more desirable. It's easier to get it on him when you remove his vest, so you might want to keep that in mind when you inevitably get yours. Since he can actually sit, this is one of my favorite recent figures. 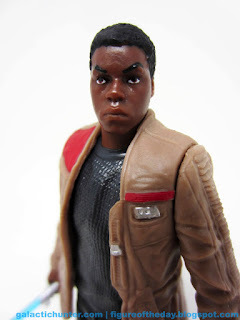 He looks neat, has a cool costume, and will totally pilot that vehicle Hasbro will never make. You know the one. 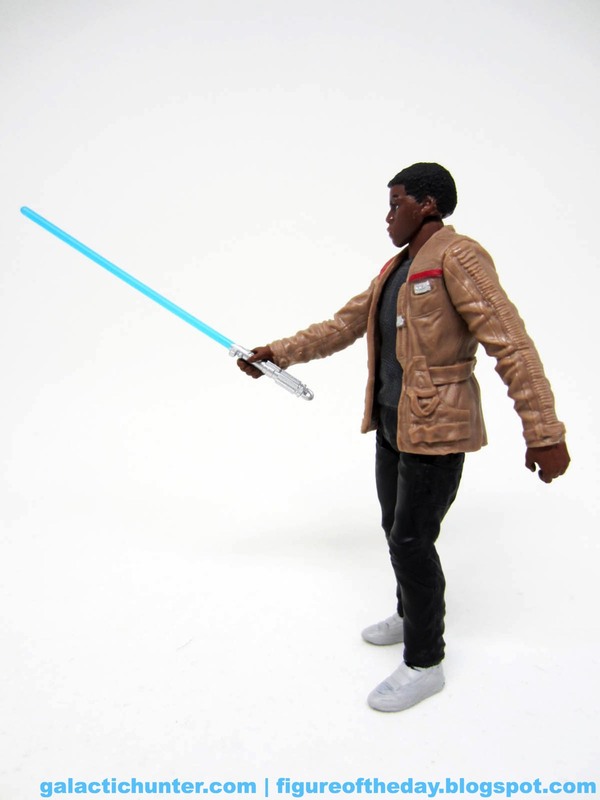 Grab this figure if you can - he's not too expensive online right now. 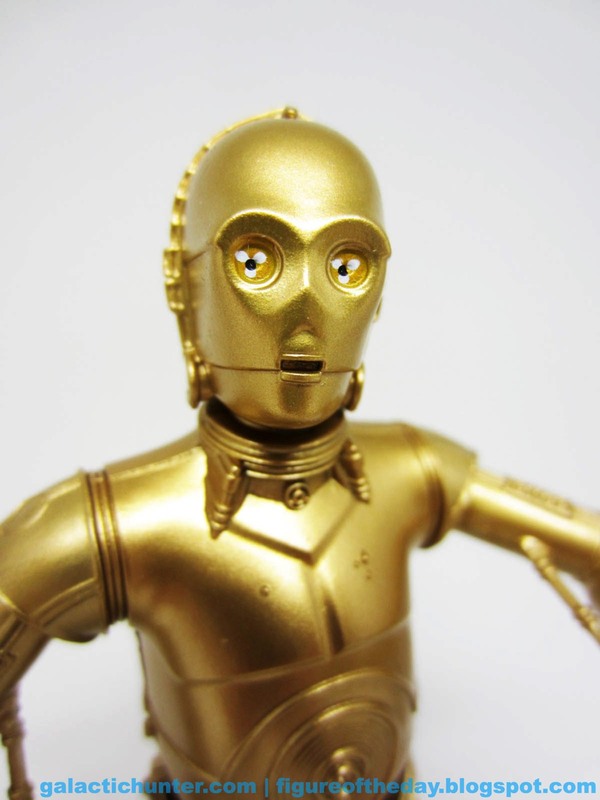 Commentary: If you liked C-3PO you'll love C-3PO! This version was exclusive to Walgreens, and had unique gold and silver deco while C-3PO [FOTD #2,323] from The Force Awakens had a red arm and was sold in to more stores. 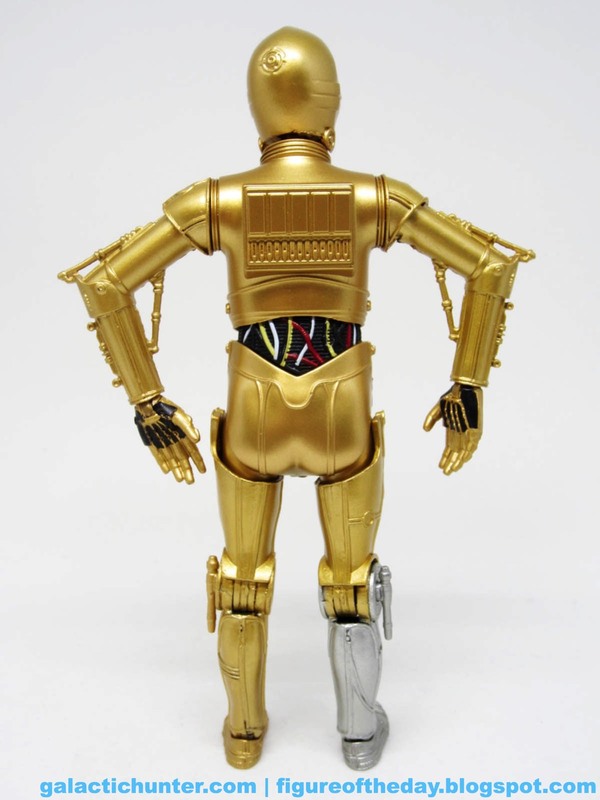 The base mold is pretty much the same - there were tweaks to the torso sculpt, but this all-purpose C-3PO for the original Trilogy era turned out pretty nice. 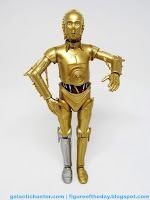 The gold is even, the articulation is good enough, and the silver is mostly where it should be. 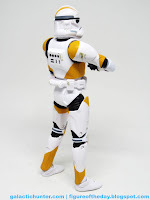 As with the other release, the elbows aren't articulated and the knees are hinges which go forward and backward. 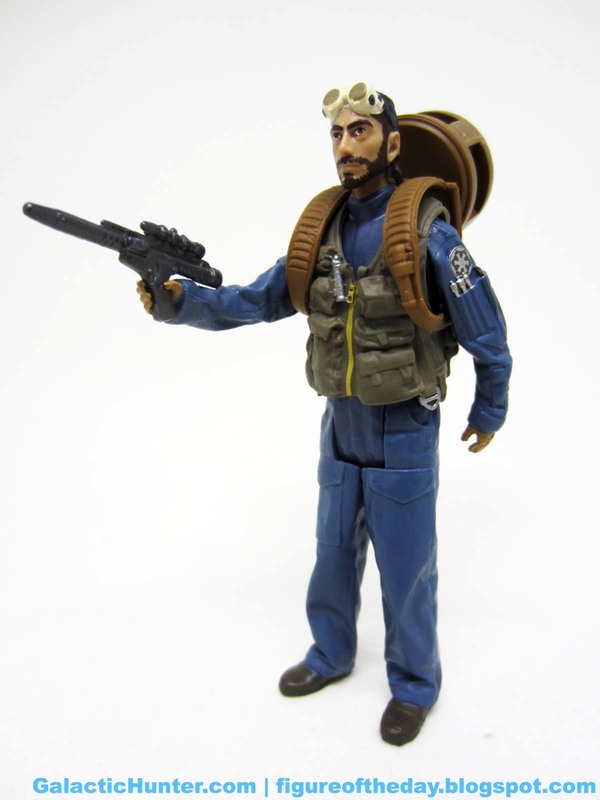 Most 3 3/4-inch releases aren't this good - but we expect more from these higher price points. The bundle of wires on his belly is uniquely painted, but the eyes are pretty much the same as before. The sculpt is still fantastic, and you get bend-and-swivel wrists with painted palms on the hands. For what it is, it's OK. It's not as nicely articulated as other figures in the line. 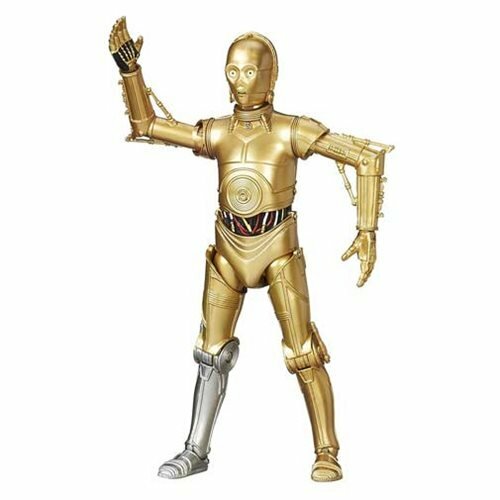 It has no accessories - a bag for Chewbacca, removable limbs, a droid caller, or just about anything would have been pretty nice. 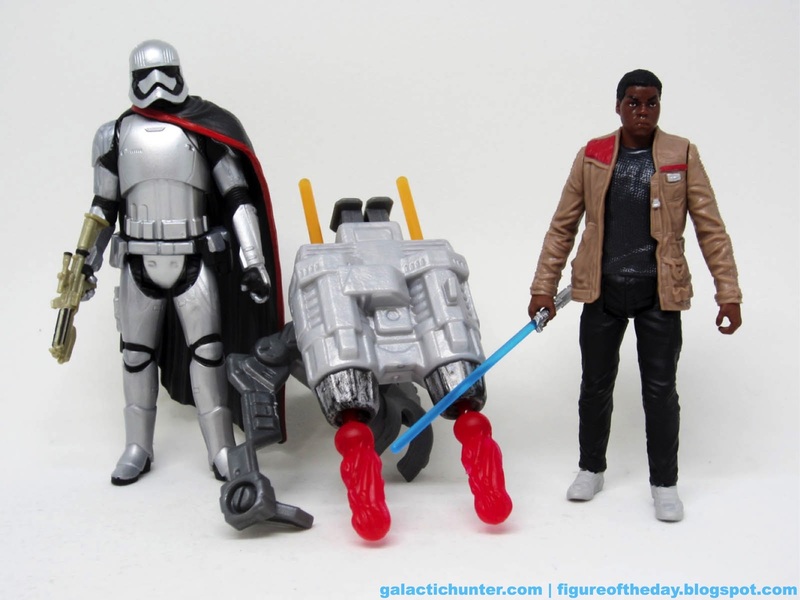 This figure looks great on a shelf, and with other figures from the line, but if Hasbro just made it as part of the cheap 6-inch series you'd probably have been fine with that. I'd love to see a vac-metal gold one some day, but I'm guessing that's unlikely as Hasbro has stayed away from doing many of those since 2010. 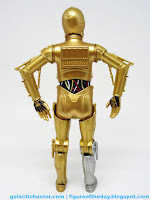 If you're already collecting this line, you'll appreciate that many of the details were sculpted on like the rod in the area near the elbow, or the three light dots around his eyes, or the familiar droid foot soles. 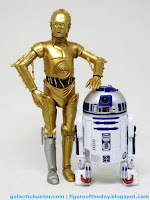 I'm sure there will be opportunities for snow, or dirt, or green slime redeco versions in the future but for now, at least, these two flavors of C-3PO are good enough to pick up. Collector's Notes: I got mine from Walgreens. Commentary: Hello there! The Phase II Revenge of the Sith Clone Trooper mold was also decorated as the spiffy 212th Attack Battalion Utapau Trooper, complete with the dirt and scratches you love. 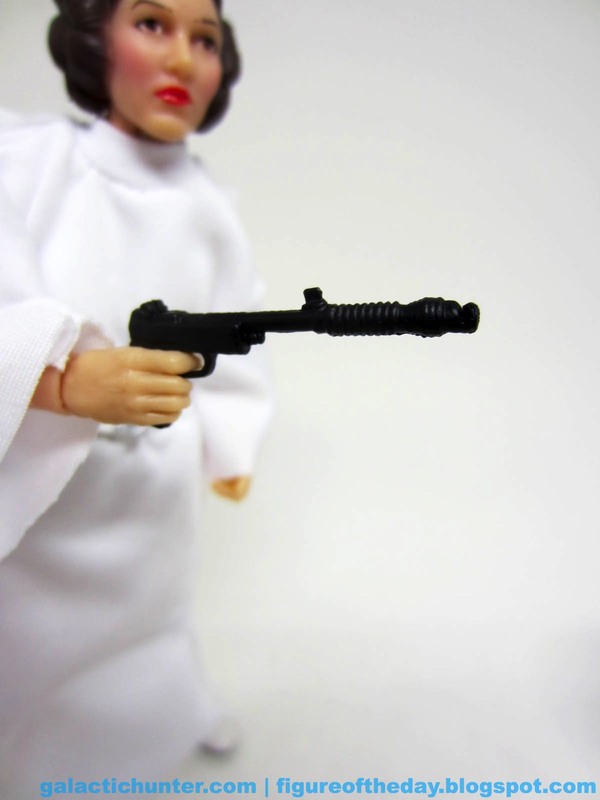 The figure has the same great articulation, a small blaster pistol, and great deco. Heck, you probably even know what to expect - but let's run it down anyway. 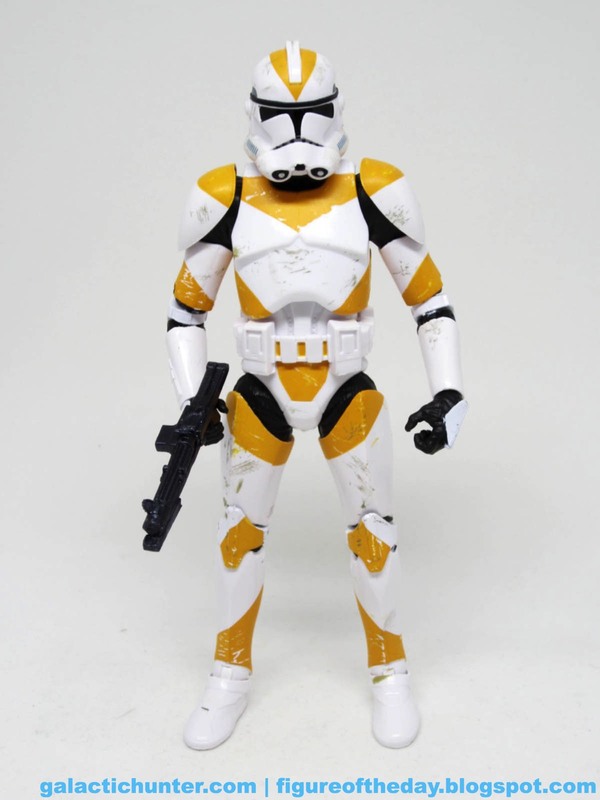 The white Clone has now been given a unique paint mask - the green clone and orange clone have similar designs, but completely different white scrapes in their squad markings. The orange looks fresh, as do the scrapes - which show exposed white plastic underneath. Added dark scrapes imply dirt or wear and tear, with a healthy smattering on the figure's front. Even the helmet has been kicked around a bit, which helps it look distinctive and interesting. I was even more surprised to see Hasbro spent some effort marking up the back as well, as historically this has been something Hasbro wouldn't touch. If you don't see the damage in the window box, Hasbro would often leave it off - so this is a huge improvement over some older designs. 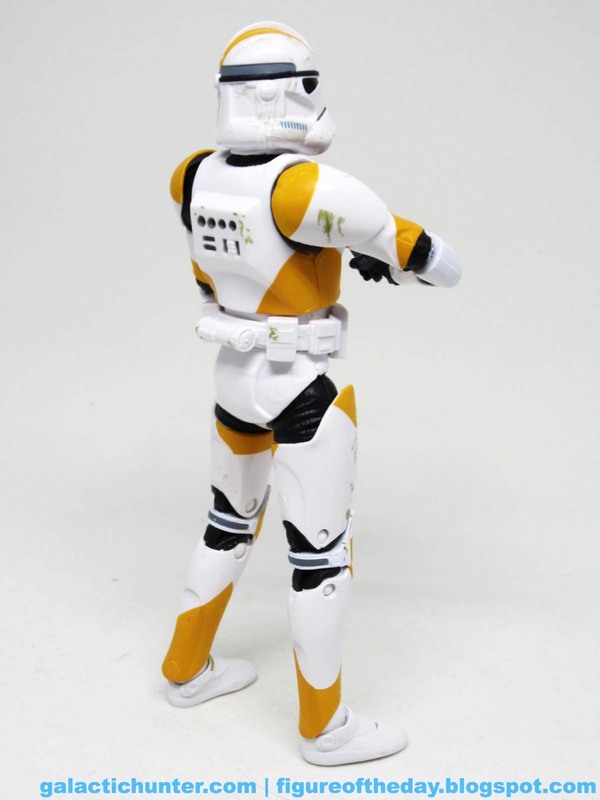 The design is based on one of Hasbro's finer earlier figures, so you get double-jointed elbows, bend-and-swivel wrists, and a good range of motion that allows you to hold a gun with one or two hands. 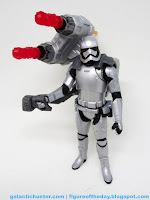 Some newer troopers can't necessarily do that, but Hasbro is getting better at making simpler elbows with better ranges of motion as of late. 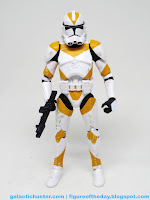 If you like Clones, and my math says some of you do but not as many as one might hope, get this figure and/or set. The only thing missing would be more weapons and even more variety, but I like what I got and I think you will too if you're in to prequel figures. After all, there aren't many. Commentary: As with Captain Phasma, this Finn is pretty much just different enough to make you mad. It, too, was cranked out in Vietnam with a different set of tools, meaning it looks different. 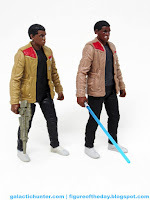 At first glance it's the same except his accessory - the blaster has been replaced with a Skywalker saber complete with hilt loop, but to the trained eye it's different. Very different. 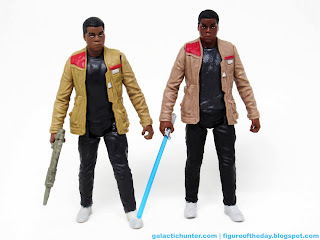 The 2015 Finn figures were made in China. The first thing I noticed was his coat - it's now darker, a richer brown. It's less faded, less light. The undershirt is a lighter grey, with a different texture. The legs seem closer together, cut slightly differently, and able to swing forward a tiny bit more. His skin color is darker, the face seems a little sharper, and the hair is a smidgen less fluffy. Oh, and it looks like his pants have a sculpted zipper - but that could just be a flaw of the molding process. You'll also notice the copyright stamps are different, with a new country of origin. Since there are minor differences to the sculpt, deco, and accessory, plus the factory, it would seem this is a new mold rather than a repack. It seems cast from the same digital files, interpreted barely differently by the person in charge of the tooling. 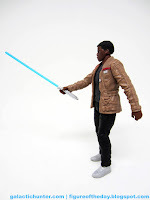 Given its lightsaber accessory (and curious on-package bio) it's a worthwhile curiosity for collectors who are after it all - but we've also had a ton of jacket Finns by now, and this variant may be one too many. 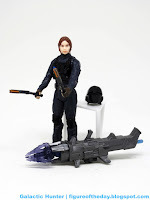 I would argue it looks better than the other ones - but if you already got the super-articulated one, you probably neither need nor want another. Recommended if you don't have a Finn (or Phasma), or if you need all the variations. Commentary: If you're an accessory completist, Captain Phasma may be your biggest source of frustration. 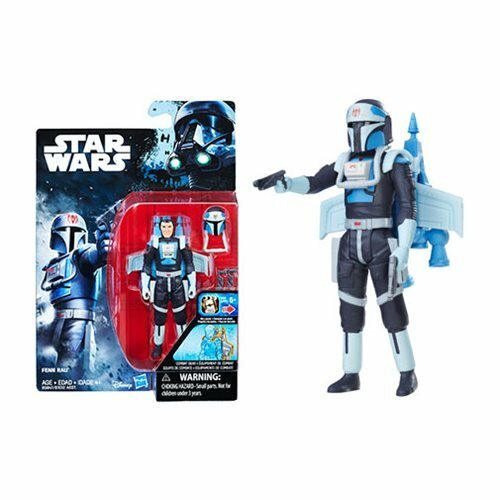 Last year, Hasbro packaged the same figure with a buzzsaw, a 7-pack of Stormtroopers, and a pair of high-priced armor-up helmets. 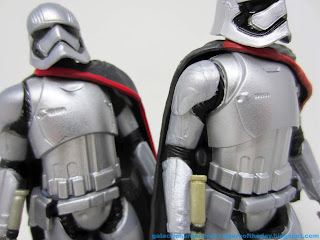 The figures are virtually identical, but each had a unique accessory (or accessories) that you couldn't get anywhere else - when you factor in the super-articulated Black Series Walmart Phasma, you've already got four Phasmas in your collection. 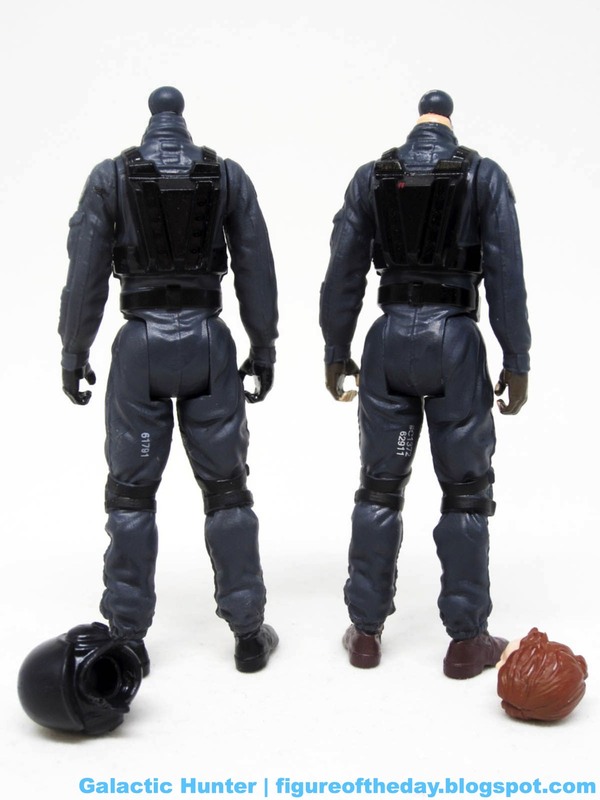 And now you're gonna get five, because this 2-pack figure is made from a different mold in a different factory in Vietnam. To your average fan, you won't notice the difference - you'll probably deem them identical. Hasbro made new tooling in Vietnam, because moving tooling is expensive, made from the same design as the last one - but as with the First Order Snowtrooper, there are minor differences that are going to make variation hunters buy this one. First up: the blaster. 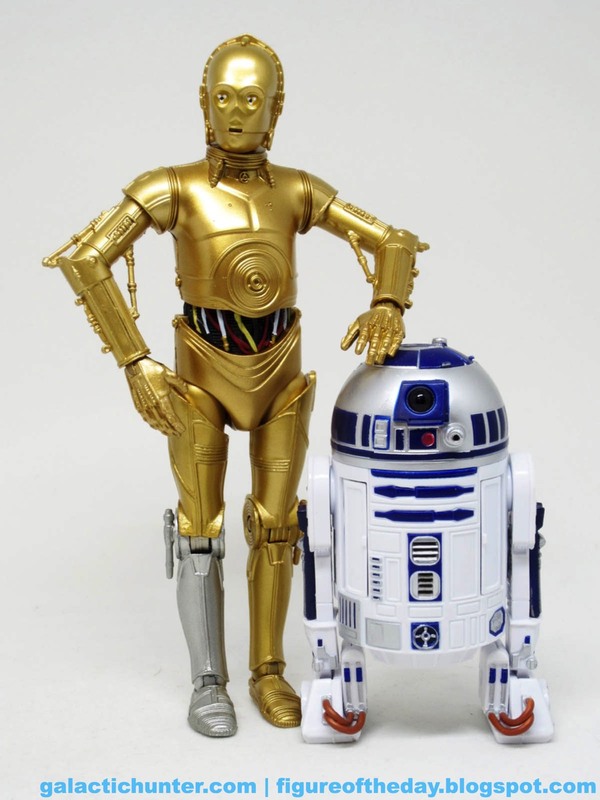 The 2015 China versions are a little paler gold. The 2016 Vietnam version has a more saturated gold, and also slightly cleaner paint applications. This 2016 Vietnam blaster is also a little smaller, with slightly sharper details and a smaller hand grip. The capes are basically the same. The 2015 China versions are a tiny bit blacker, while the 2016 Vietnam one is a teensy bit sharper in the details - it could just vary from sample to sample. I'm grasping for differences here, they look basically the same with the same red trim. The figures are very similar - but there are differences if you squint. The chest and inner forearms have sculpted details that differ ever-so-slightly. The Vietnamese version from this 2-pack is barely better, just a tiny bit sharper on small details. The bank of lines on the right side of her chest and the forearms are better on the Vietnamese version, but the area directly under the palm of the hands is better on the Chinese version - barely. Both have five points of articulation, but the leg joints are cut slightly differently and the Vietnamese one can swing forward more. 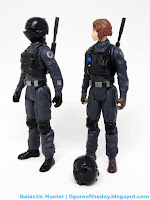 When comparing the helmets, the Vietnamese version seems to have more paint and a smidgen more detail in the black areas. The various sculpted pinstripes are a bit cleaner on the Vietnamese version as well. Deco between the two is close enough for jazz. A pouch on the single release is black, while it's silver on the 2-pack here. I'd give a slight edge to this 2-pack version overall - she even stands a couple of millimeters taller! It's unfortunate that Hasbro spent money making new tooling in another factory for what are going to be viewed by fans as mere repacks - repacks that come five per case, even - but here we are. The centerpiece of this boxed set is the shoulder-mounted rocket launcher which is so big, it prevents her from standing upright. 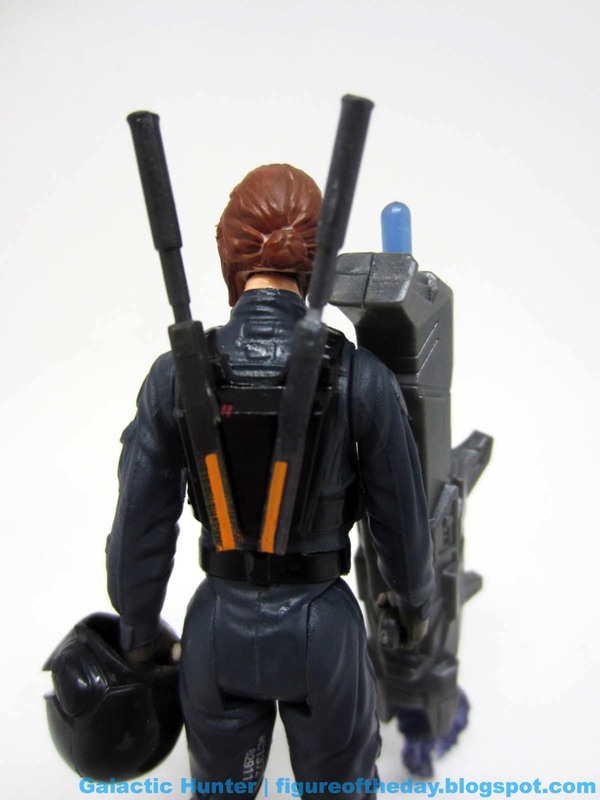 It looks a little goofy and is unbalanced, but the handgrip was well-designed. The backpack connects to a jointed arm, which itself has a jointed grip. 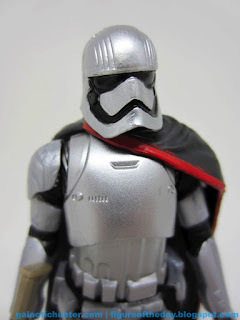 Hasbro made sure Phasma - and maybe even other figures - can use this weapon. 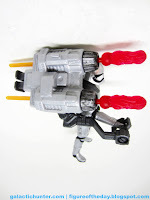 The launcher piece pegs right on, and each rocket is fired from a separate button. They go a few feet, with powerful springs that I would rate as good by modern standards. 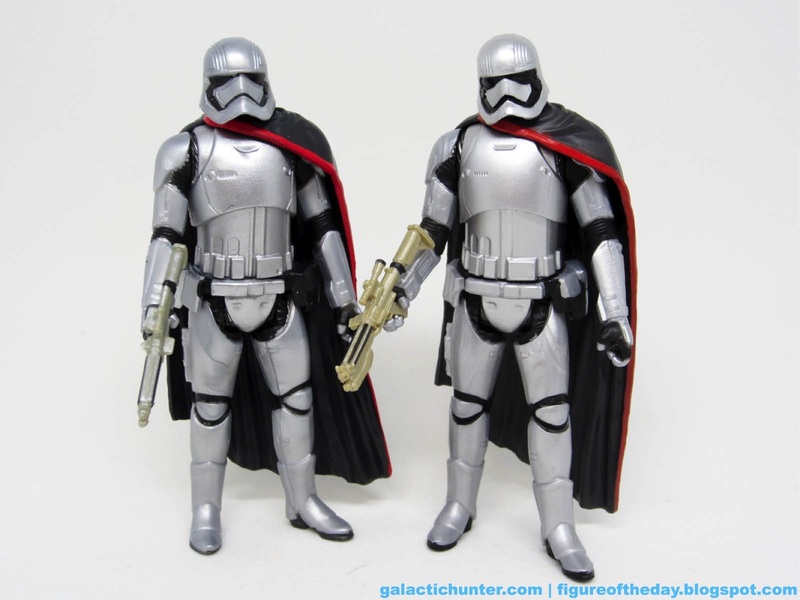 Look, I'm not going to lie to you - unless you collect variants, you should skip this 2-pack. 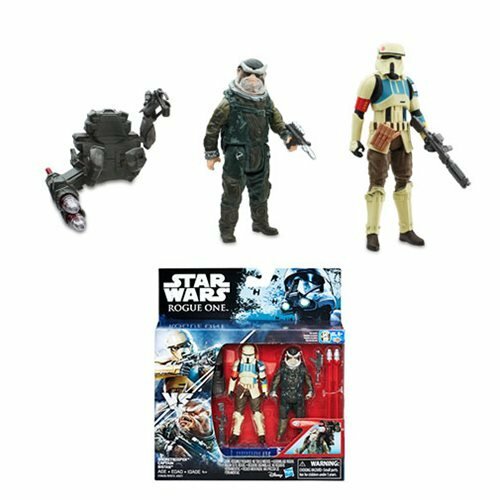 If you don't have Finn and/or Phasma yet, it's a good set. If you need deco, sculpt, and accessory variants that absolutely nobody would notice with the naked eye sans comparison, you need this. However, it's packed five per case - when it shows up, it's probably going to hit hard. If it sells fast, it could be a success as Finn is largely off the market and so is Phasma. I'm guessing a glut may be incoming, though so get it if you see it. And hopefully next time Hasbro just puts out a trooper two-pack instead when they need an (I assume) final wave set. 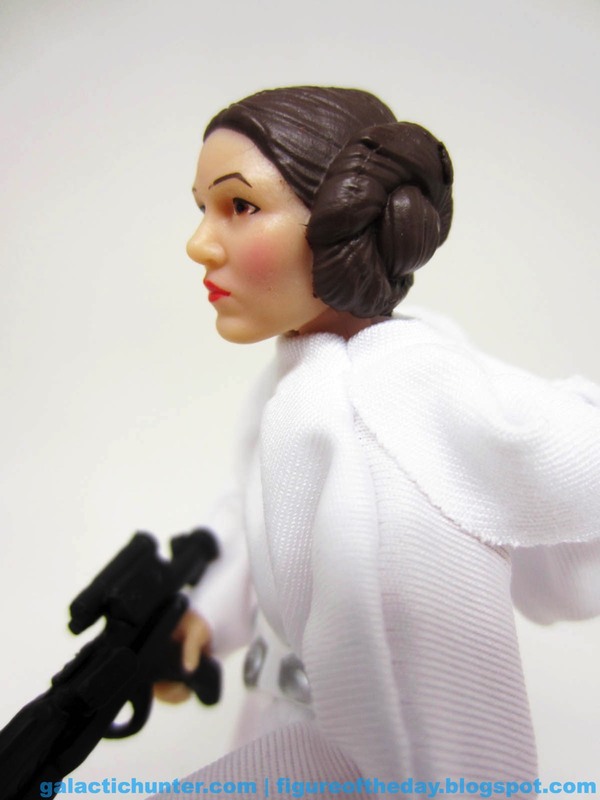 Commentary: We lost Carrie Fisher the day I wrote this. 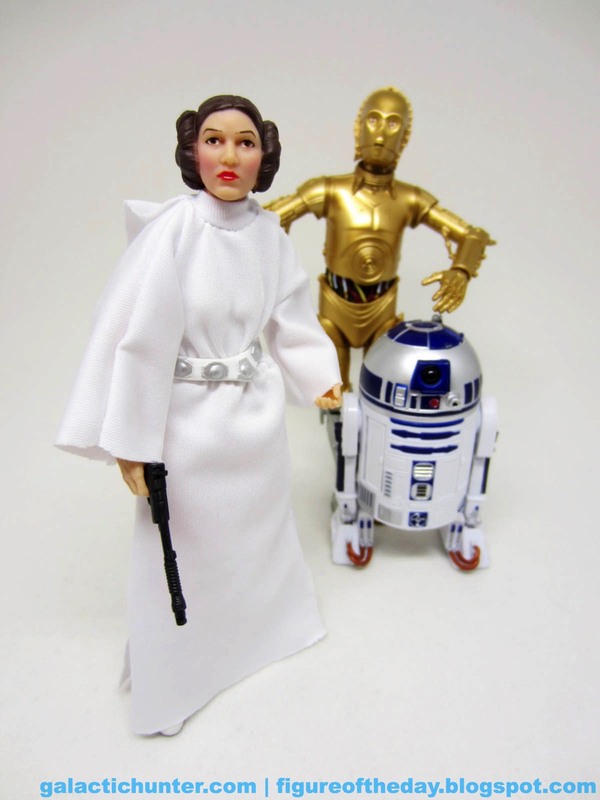 I got this action figure a couple of weeks before her death, but she died before I could open it. Similarly I picked up Bowie's album just before he died. This is a pattern I never quite expected, but you might guess that the new Princess Leia Organa action figure is already having an interesting relationship with the secondary market. 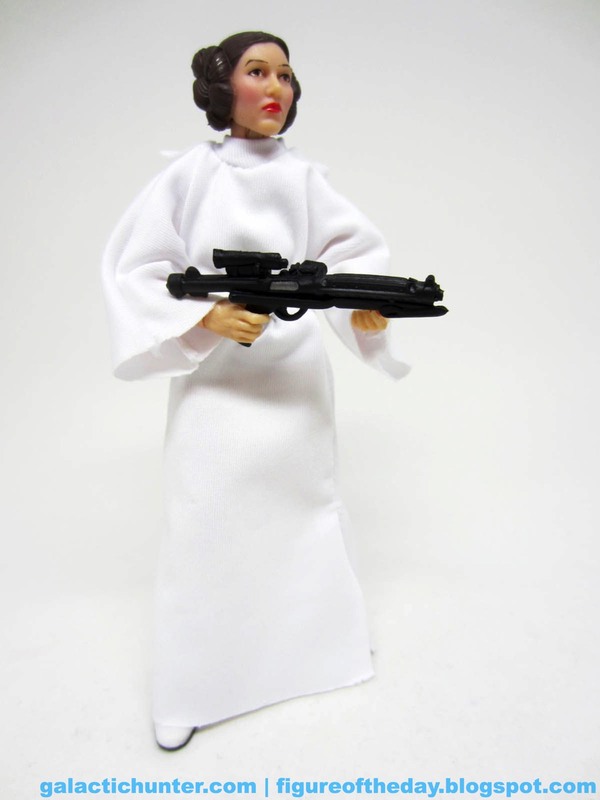 The 1995 Kenner figure was released eighth out of the first nine figures, resulting in countless untrue rumors about why she was tough to find. A few years, ago, Disney stated they were going to retire the metal bikini look for merchandise - leading to soaring prices of the existing figures, the most recent of which was actually selling below cost because nobody actually wanted it upon release. This very figure jumped from about $30 to about $55 within hours of the news of Ms. Fisher's death, which is a pattern we've seen a lot over the years. It's nice to see people care, particularly since this isn't a shabby figure. 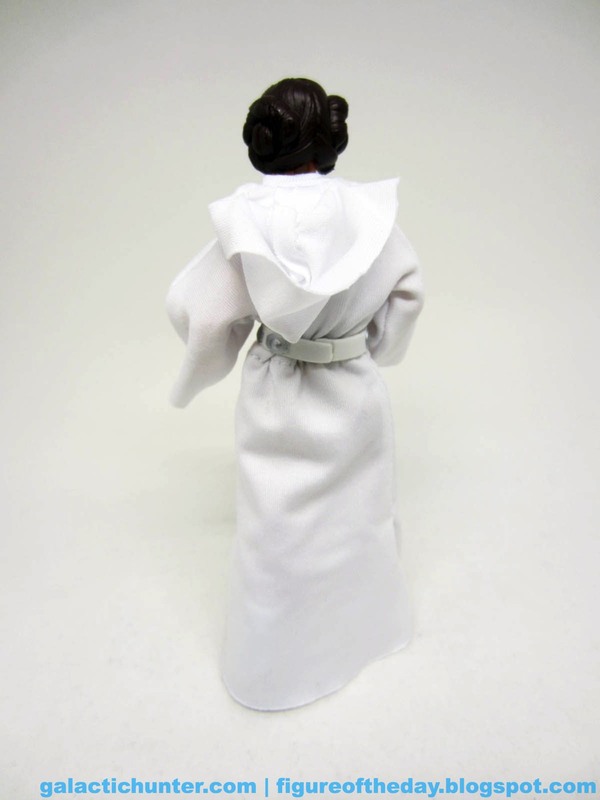 This time around, Hasbro crafted a cloth dress around a pretty spectacular plastic armature. I assume this figure was prototyped in 2013 or 2014, because she has double-jointed elbows and knees- a real rarity these days. The likeness is decent, the hair is spot-on, and the make-up is about as good as it often gets. 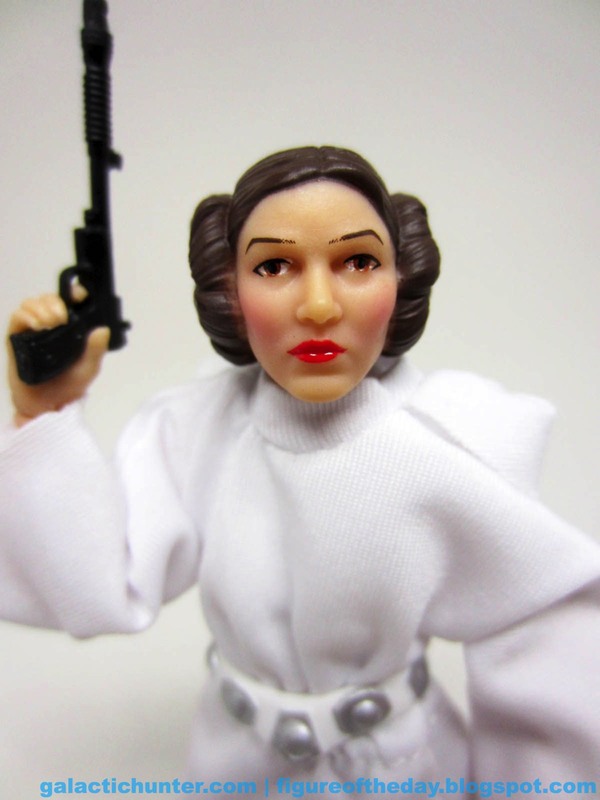 Perfection is beyond the grasp of possibility, but it's Leia, that's for sure. The cloth outfit looks good, and as such any sculpting problems are basically masked. There are no real problems posing this figure, and she can easily grasp her new sporting blaster or the specially decorated Stormtrooper blaster. This is a good figure. 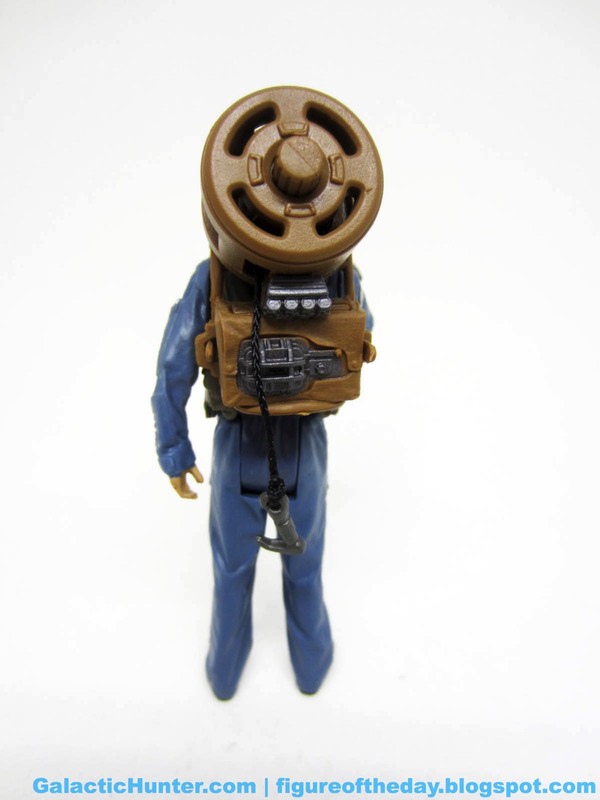 I hope it's the figure that you want. She reminds me a tiny bit of Carmine Infantino's comic art, particularly in the eyebrows. With the loss of a celebrity, people express their grief in all kinds of ways - merchandising is a common one. Perhaps by now the furor has been toned down a bit, but with time things often and somewhat sadly return to normal. People forget, people move on, that grief-demand fades a bit as we start getting used to referring to someone in the past tense. We'll get to see her at least one more time in December, and in case you never saw her on talk shows, or in the first Austin Powers, or with a flamethrower in The Blues Brothers, these are just some of the things you should consider doing this weekend.